You are not logged in. [Log In] VaGunTrader, LLC » Forums » FFL and other gun related retail businesses » DK Firearms » WIN a Century Arms Draco NAK9! 37 registered (Silby, Crhenderson, Tyb2324, chelnerul, Mike1899, Apex401, MrPepper, Jim, Dave1978, Ryan84, taylors, bacon,boy, .45 Shocker, Tomahawk58, TC_hunter, DerekH, BUFF, sig_sr, Blitz, Wayne1949, Otislee, TheEqualizer, cadi86, handsheldhigh1, horace375, VMI_10, 11 invisible), 11 Guests and 7 Spiders online. 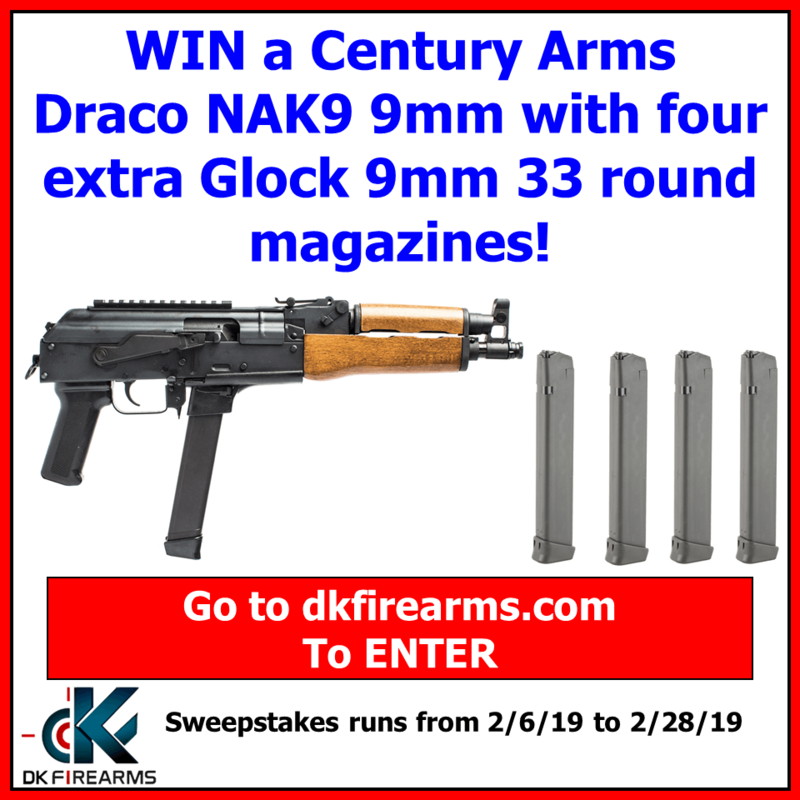 #1455262 - 02/07/19 09:39 PM WIN a Century Arms Draco NAK9!